If you wish to use this website, and purchase eTraining and other products from this website you must agree to abide by and be legally bound by the terms and conditions described below. If you are concerned about these terms and conditions of use, it is your responsibility to read them whenever you use our website. 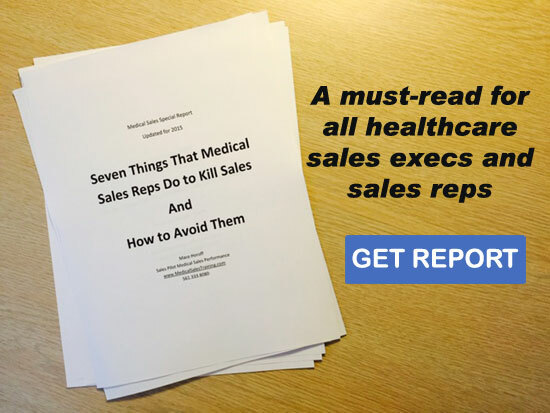 Any questions or concerns should be brought to our attention by sending an e-mail to admin@medicalsalestraining.com and provide us with information describing your concern. You understand and agree that your use of our website is limited and non-exclusive as a revocable licensee. We may terminate your license to use our website and online eLearning courses, and access to our website, for any reason, and without giving you notice. We reserve the right to deny access to anyone at any time at our sole discretion. Sales Pilot is in the business of selling information in the form of digital material such as online courses, DVD’s, CD’s, digital documents (e.g. PDF file), group coaching calls or one-on-one private coaching. You have been informed that all orders are final and there will be no refunds unless otherwise specifically stated. If you purchased access to a course or other product/service through an installment plan with us, your continued access to the course or other product/service will only be granted if we are able to charge your credit card or bank account successfully for each payment. If we are unable to charge your credit card or bank account for any payment which is due, we will notify you and try one more time and if unsuccessful, your access will be terminated until you bring payments current. There will be no refunds on any payments made. Sales Pilot may change it’s pricing at any time or alter the components that are included with any of the packages at any time. If and when price reductions on any of the packages or programs occur, there will be no credit or refund of the difference from the amount initally paid. The Sales Pilot corporate office is open Monday – Friday 9a.m. – 5p.m. eastern time. We are closed Saturdays, Sundays and legal U.S. holidays. You also agree that any dispute between you and us, excluding any intellectual property right infringement claims we pursue against you, shall be settled solely by confidential binding arbitration per the American Arbitration Association commercial arbitration rules. All claims must be arbitrated on an individual basis, and cannot be consolidated in any arbitration with any claim or controversy of anyone else. All arbitration must occur in West Palm Beach, Florida USA. Each party shall bear one half of the arbitration fees and costs incurred, and each party is responsible for its own lawyer fees.